Make a grand entrance in La Femme 25734! 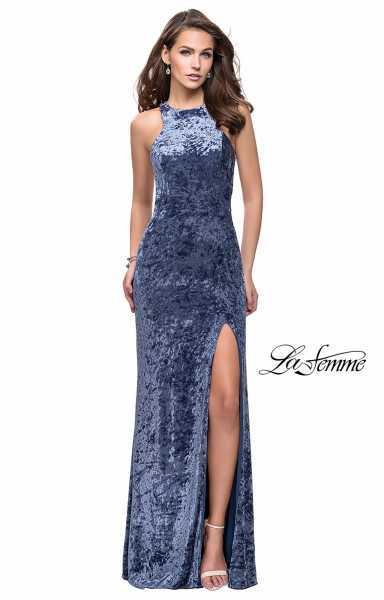 This trendy full length gown is constructed of a rich crushed velvet material that flaunts your girlish shape. Complete with a thigh high slit and an unforgettable strappy open back design, this dress promises to make heads turn!